Are you searching for an experienced training consultant to deliver your training package? If your company is seeking a Training Consultant based in Melbourne to deliver your in-company training packages, then please consider Performance Development as a training partner. We have been established for over 20 years – and offer you a proven track record of reliability and professionalism in the training industry. 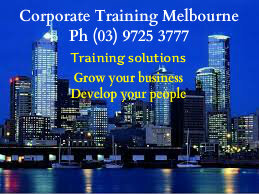 We have a small team of training specialists who are experts in their respective fields. They will bring both depth of subject matter expertise as well as engaging delivery styles to the presentation of your in-company training program. Needing a training consultant to design and deliver a customised course? We can work with you to scope out the outcomes you need from a training course, and then develop a program tailored to address your needs and also meet your budget.